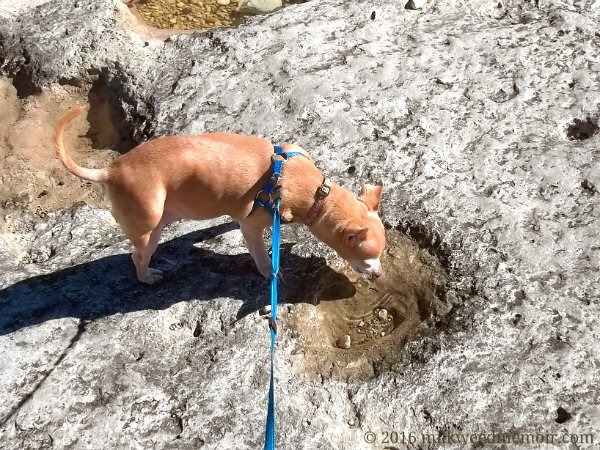 Nature provides Tiarra a cool, fresh, clean drink of water along the trail at McKinney Falls State Park in Austin, Texas. 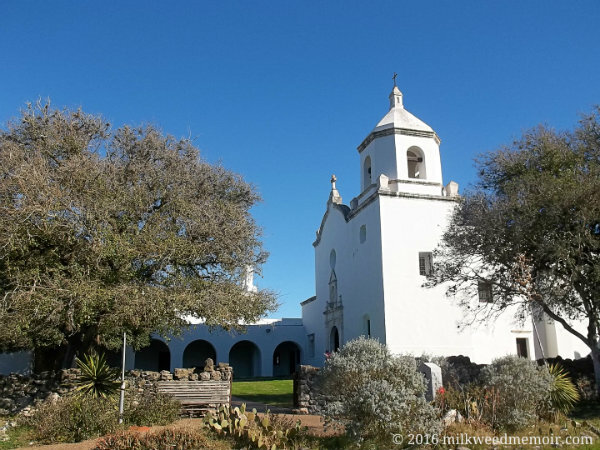 Mission Nuestra Señora del Espíritu Santo de Zúñiga (1749) was the Peace Corps of its time, teaching Native Americans European tech, as well as religion. 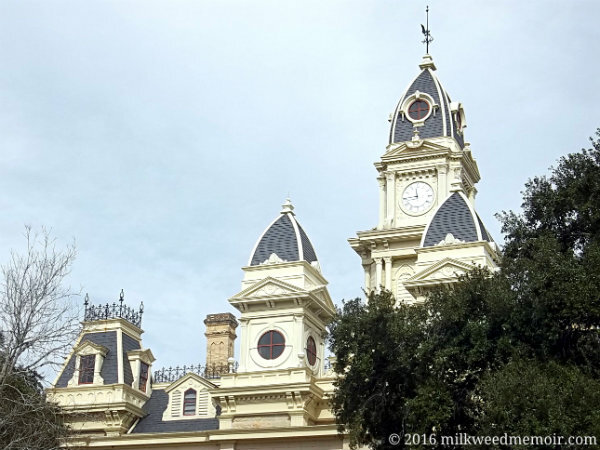 In the 19th century, Texas counties competed in the splendor of their courthouses, as you can see from Goliad County Courthouse's elaborate, Second Empire turrets.